Plush, rich, and stately in design, the Erin Bedroom Group adds a fantastic sleeping centerpiece choice for the bedroom in your home. 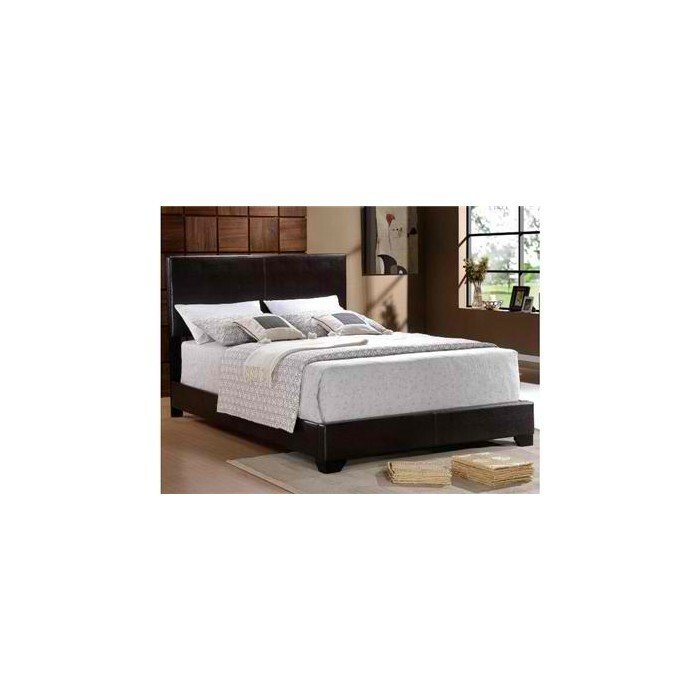 Featuring slightly tapered block style legs, with a deep brown faux leather upholstery over the entirety of this piece, with seam detailing and geometric lines and edges with a low profile platform base, this bed is completely distinctive in design, and adds powerful styling to any bedroom in your home. Made available in Twin, Full, Queen, and King sizes, this bed can be a sleek addition to any bedroom in your home, from youth, to guest, to master bedrooms, this bed is fashionable and functional in design.